It’s been a while since we announced our Like EOG & WIN StudioPress Giveaway and it may have gotten lost in the shuffle so I thought I would breath some life into it for the New Year. We love StudioPress at Eco-Office Gals and with the release of Genesis 1.9 and Genesis 2.0 in the oven, things are getting HOT! If you haven’t taken a tour yet, Eco-Office Gals has been overhauled on the new mobile responsive Minimum Theme and Mobile Responsive Designs was built on the same child theme. 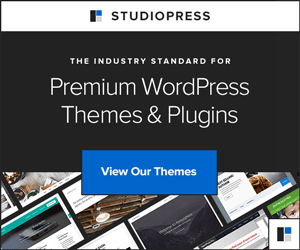 StudioPress is working overtime to re-release all of their themes as mobile responsive versions. Color, style & mobile responsive – all that’s left to ask is which one do you choose? Or should I grab the whole StudioPress Pro Plus All-Theme Package? Or why not WIN one of the themes from EOG??! When we hit 1,000 likes on Facebook we will choose 1 random winner to win the Genesis Framework & Studiopress Child Theme of choice a $79.99 value! So, if you’re looking to upgrade to a great premium theme or need to get your business online, a “like” on Facebook can get you there, a share so otheres will “like” can get you there quicker! * A few obvious details for the winner, you must have a domain purchased and a self-hosted WordPress.org platform installed. Theme is for personal use only and may not be resold. Theme is installed out of the box free of charge – customization is not included. If you don’t have any of the above upon winning, Eco-Office Gals can assist with the details, but it is not included in the winnings. Good Luck! ** Comments from original post will be included in the random drawing, but feel free to get a fresh entry in! I would like to win Magazine Theme.